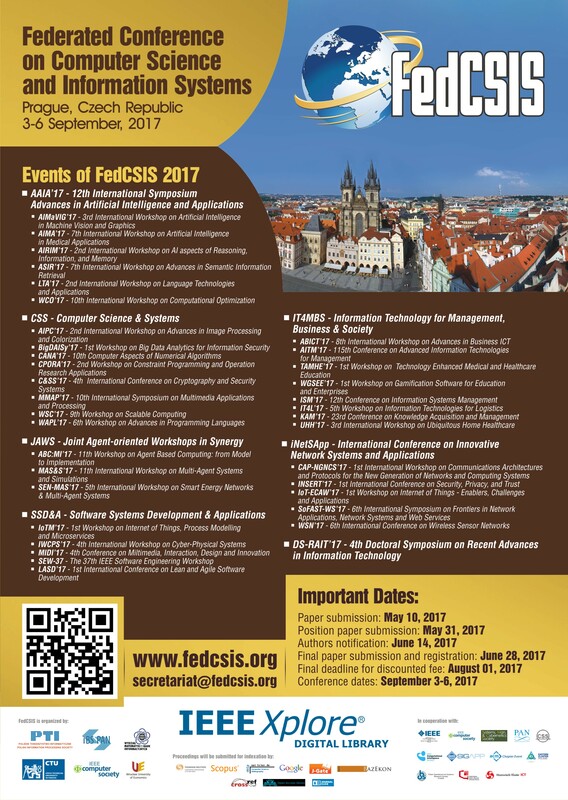 Events confirmed to take place during the FedCSIS 2017 conference are listed below. These events are grouped into FedCSIS conference areas, of various degree of integration. Specifically, those listed in italics and without indication of the year 2017 signify "abstract areas" with no direct paper submissions (i.e. paper submissions only within enclosed events). DS-RAIT is a Doctoral Consortium for all FedCSIS areas.